On the way to church this morning a rabbit ran in front of my car. He made it to the other side of the road safely just as my car reached him then he suddenly did a 180 and went right back across. This time sure I would hit him I pressed on the brake and yelled “Whoa Bunny Foo Foo!!!!!!! !” Much to my relief he narrowly escaped my left front tire. After that I started to giggle about what had come out of my mouth. “Bunny Foo Foo…” really? One morning several weeks ago during the school year I was taking my two daughters to school and heading on to my work. There was a bird sitting in the middle of the road and not moving as my car approached. At that time I stated “Move flower!” Yes you read that correctly. It was a bird and I called it a flower. My daughters were thrilled with my mistake and I had no good explanation as to why the word flower escaped my mouth instead of bird. It made me think of the movie Bambi when he called the skunk flower. It is in these spontaneous instances that what comes out of our mouths reveals what is truly in our hearts and minds. Apparently lately flowers and bunny foo foo’s are on my heart. You may find that delightful or just plain weird. Personally I am not sure what I think of it, but it is better than something foul. It has not always been the case for flowers and bunny’s to spill out of me. We tend to spill out what surrounds us. There have been times through company I have chosen or just simply who I am around in my work place that foulness and complaining has been a continuous bombardment. As I have been faced with surprising circumstances guess what came out of my mouth. Even when foulness was not integrated into my language within normal conversations in an emergency foulness flew out. 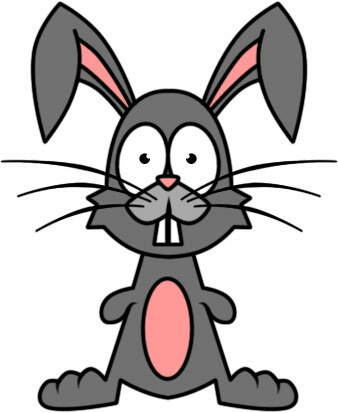 The “Whoa Bunny Foo Foo!” proceeded by our Sunday school lesson today from 2 Corinthians 5:15-21 and the pastor’s sermon from Romans 12:9-13 were all used by God to integrate a lesson even deeper within me. To be in a continuous state of fellowship with God, to be a representative of God’s love at all times, to surround myself with the example of Jesus by studying God’s word and through prayer, and to allow God to work through me through the power of the Holy Spirit at all times. When foulness comes from me it is when I am focused on me. When my focus is on Christ it will be love that flows from my words and actions.